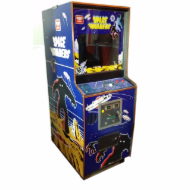 Back in the early 80's when I was discovering video games, inserting coins in these big machines which were twice my size, I always told myself "Alex, one of these days, you'll own one". Space Invaders and Donkey Kong. Yes, sure, Pong and Pacman were never too far, but these 2 were something else. Later on, arcades such as Street Fighter, Star Wars, Contrat or Puzzle Bobble also became gaming milestones. Nowadays, we don't get to see places with arcade cabinets. Or very few, and when there is one, it's usually at the back of a store, or in some dark corner of a mall. Of course, that's if you don't live in Asia, and above all in Japan, where there still is some love for these amazing machines. RetroPixl is dedicated to provide players and collectors with the best retrogaming and rarest consoles, directly from Asia. 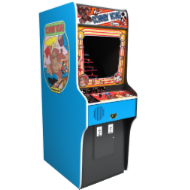 In the past years, with the hype around video games in general, and retrogaming in particular, it has not been not uncommon to see arcade cabinets popping-up here and there, including at people’s place or in trendy areas of cities. But the scarcity that these machines suffer from, still remains an oddity for many. 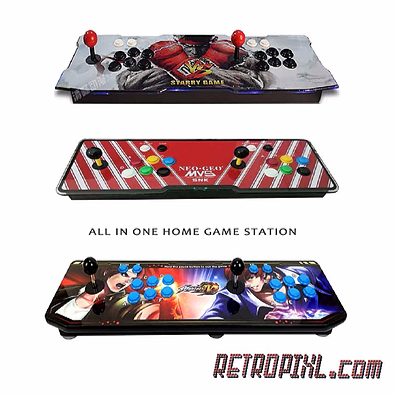 So when over the past few months, I've been thinking about what could be added to the website in order to make a difference in terms of what we have to offer, and that would also be related to Retrogaming, it only felt natural to announce that starting from 2018, RetroPixl will offer arcade gaming to its clients! Looking back at how I, and most of us started playing video games, it quickly became obvious that the missing piece on RetroPixl was Arcade gaming. Retrogaming would be nothing without this piece of history that Arcade represents, and democratizing their use once again feels like reviving the flame. Our goal is to be using some of today's technology, and mix it with yesterday's arcade flavor in order to give you access to the golden age of video games in its entirety, but also to its heritage. We will be starting with Tabletops and Pandoras. We'll be equipping our arcade machines with modern technologies, for your greatest enjoyment. Our arcades will offer to play dozens of systems, and hundreds of games, if not more. We will have our own models and designs, but down the road, we will also accept your own design requests! Don't hesitate to contact us for more information. Below is a glimpse of our Arcade options that we'll offer next year. Arcade Machine for 1 player. Small enough to fit anywhere, it will offer the choice between dozens of consoles and arcades, and hundreds of games. RetroPixl will have 4 Designs to begin with. 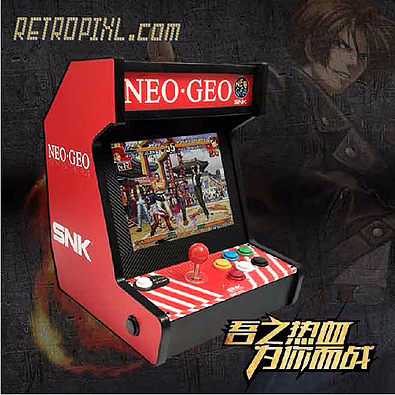 Similar to the RetroPixl Arcade 1 Player, but bigger. The choice of consoles will be the same, as the number of games you will be able to load.Several designs (4) will be available at launch. The RetroPixl Box is a set of arcade controllers, to be plugged directly to your TV/Screen in order to play any console/arcade game of your choice. 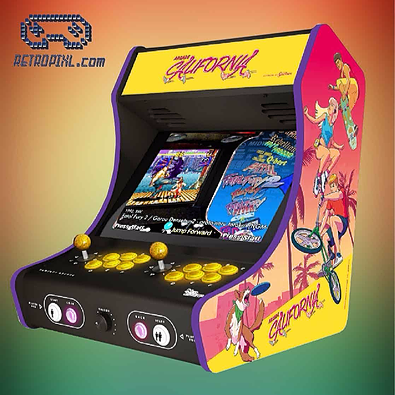 As for RetroPixl's Mini-Arcade, 4 to 6 designs will be offered at launch. The RetroPixl box requires less space and can be is easily carried.